Use my vTracker to be the first to known when new releases are available. A full list of fixed issues is available in the Release Notes. DFW Issue - Traffic disruption upon a vMotion operation on virtual machines with Distributed Firewall (DFW) and Security Groups (SG) configured. Unmanageable NSX Edge - This issue occurs when serverSsl or clientSsl is configured in load balancer, but cipher's value is set as NULL in the previous version. NSX DLR HA split-brain state - When using dynamic routing with High Availability (HA) configured on a DLR Control VM, both the primary and secondary DLR HA nodes can enter and remain in Active state concurrently. VM ARP DLR Issue - If a VM learns the pMac of the logical router as the MAC address for default gateway instead of the generic logical router MAC address, it loses connectivity north of the logical router. VMSA-2016-0007.2 - VMware NSX and vCNS with SSL-VPN enabled contain a critical input validation vulnerability. This issue may allow a remote attacker to gain access to sensitive information. Check Prerequisites / Backup / Understand the operational impact! I've upgraded my Lab hardware without any issues. 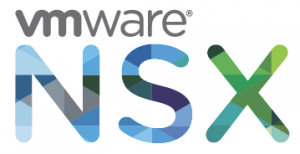 Which Features are missing in NSX Standard and Advanced? 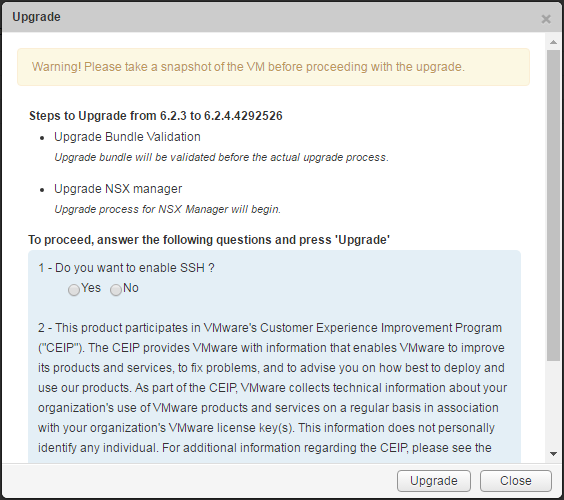 Is there any indication when vCD 8.1 for SP's will be supported?